Vertical ocher and purple forms rise from the bottom center of the composition up to the top center where they become disjointed and more intermingled. A small red and orange forms with yellow highlights float along the upper right edge. The rest of the composition is left unpainted. 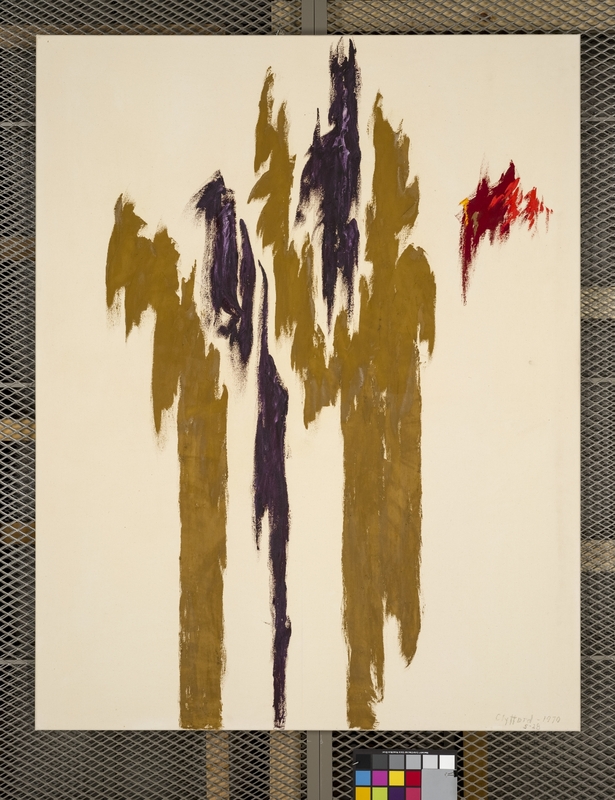 Clyfford Still, PH-709. 1970. Oil on canvas, 76 1/8 x 59 5/8 inches (193.3 x 151.4 cm). Clyfford Still Museum, Denver, CO.